Your original brand may have gotten you off the ground, but it may be hindering your growth when you are ready to accelerate to the next level. Getting an HVACR business up and running involves countless decisions and expenses. For many contractor entrepreneurs, their brand becomes an afterthought or an asset they skimp on because their startup budget is stretched thin. Your original brand may have gotten you off the ground, but it may be hindering your growth when you are ready to accelerate to the next level. Your brand is your most important asset. Take a look at what it says about your company. Here are five signs that it’s time for a refresh. It’s not uncommon for small business owners to build their brands around logos either they or family members created, or that they found online. There are a few problems with this approach: It gives your company an amateurish image; It’s unlikely to stand out (for the right reasons) in the crowded marketplace; and, if it’s not original, you can’t trademark it to ensure no one else uses it, too. A professional brand communicates reliability, trustworthiness and longevity. It makes a stronger positive first impression. message that speaks effectively to your target audience — which is more important than appealing to your grandma who lives in another part of the country or using your wife’s favorite color scheme. If your business is like most, it has grown and evolved over the years. Your services and products may have even changed. Has your brand kept up with these changes? Many businesses don’t realize they’ve outgrown their brand — which might have been weak to begin with. To attract more, bigger, better clients, your brand needs to portray that you have the capacity and ability to meet their expectations. If you deliver a quality product or service with unparalleled customer care, but your brand does not convey this experience, new customers in your market will not give you a chance to prove you’re worthy of their business. When your brand doesn’t represent you or speak to your target audience in a meaningful way, it’s time to seriously consider a makeover. Good branding never should fit in or blend with the clutter vying for your customers’ attention. If your logo can be mistaken for a dozen other similar brands, your target audience won’t remember you and you’ve missed an opportunity. Imagine the power of a disruptive brand when it’s the design foundation of an eye-catching vehicle wrap traveling along a busy street through your service area. 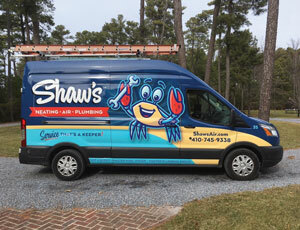 An HVACR contractor with an unusual color scheme or creative logo stands out among the rest. Don’t be just another white truck on the road. Be unique and you’ll be noticed. Good branding tells viewers what they could expect from your company before they have any interaction with you. It should make a positive impression about your business. A strong brand communicates concepts such as experience, responsiveness, friendliness and dependability. It instills confidence. Poor branding can portray inexperience, sloppiness and impermanence. When customers in your market have a choice between a brand that promises good service and one that looks unreliable, you want to be the business with the professional brand. Over a period of time, inconsistencies in how you present your identity across all marketing efforts and platforms can dilute its value. Being inconsistent means your individual messages (print ads, vehicle wraps, billboards, etc.) are not supporting each other, but instead each is competing for attention in the marketplace on its own. 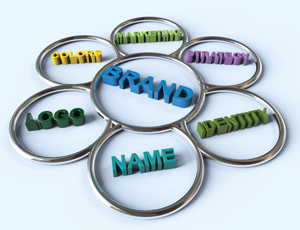 On the other hand, when your materials are well branded, your customers will see the connection between your marketing efforts, which strengthens their effectiveness. A synchronized campaign has much more traction than piecemeal messages. Follow a brand style guide that sets rules for how to use your logo, typeface, etc. — and stick to it. An amateur brand can be like an anchor, dragging your business down. You may have been successful thus far in spite of weak branding, but, your future success is limited if you don’t give your branding a facelift. 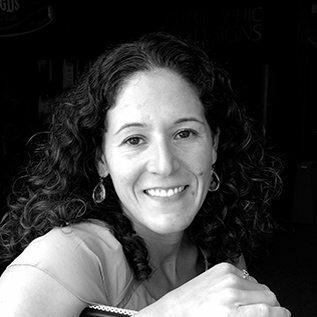 Your potential is far greater if you portray a professional, unique identity in your market. The upgrade will mark a fresh start that rejuvenates your team and your customers. Do not fear alienating your existing customers. You can communicate with them about the change, thank them for bringing your business this far and rally the troops to spread the word about your new look. Next, focus your efforts on preparing to attract new customers who never noticed you before you rebranded. Your only regret will be that you didn’t do it sooner.